One of the largest sixth form colleges in the UK, Barton Peveril, is located in Eastleigh, Hampshire. The modern college, complete with a £5m Science Centre, provides approximately 4,000 children with an education. 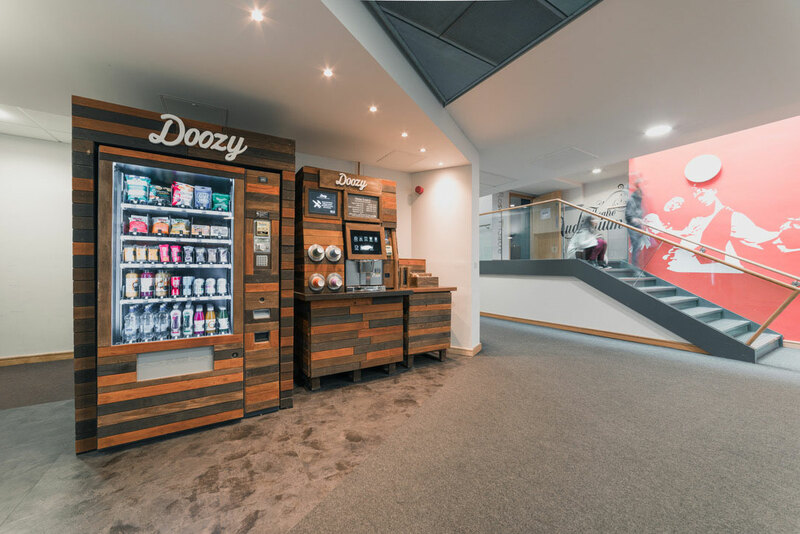 James Lacey, the colleges Business Manager for Catering and Retail, contacted us as he wanted to offer the students a very different alternative to their current fizzy drinks and chocolate bar machines on site. Additionally, James often had to open the cafeteria during events, however small, so that people could get access to hot drinks. In September 2017 Doozy came to Barton Peveril, ready for the new term. Students loved the healthier options and were particular fans of the hot chocolate from the coffee machine! Our new facility meant that for events and functions taking place in the evenings or at weekends, James no longer had to open the cafeteria simply to offer hot drinks. Instead, people could get access to decent, quality coffee and tea from our Doozy machine. Now, the first Doozy has been embraced by students, staff and visitors alike, we are in talks to install at further locations around the college.